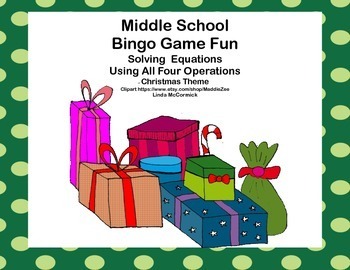 Looking for a game to keep the students engaged as the holiday madness rages on? Want a fun way to review? This Bingo Game is just what you need. This game provides a great review on solving equations. It is also a nice activity for the holiday season, especially when it seems that the younger children are having all the fun. 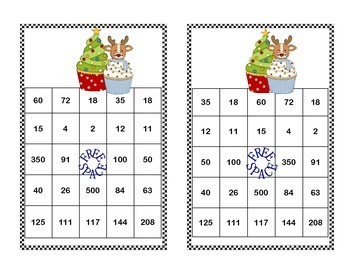 While the theme is for the holidays, the clipart is in keeping with older students-except maybe the cupcakes. But who doesn’t love a good cupcake! 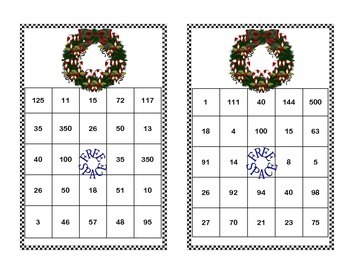 You can run them off on cardstock, cut to size, and laminate them for a permanent game solution. You can also run them off on paper and have the students cross off the answer as they solve the problems. I chose equations that for the majority, can be solved mentally. I allow the students to have paper and pencil in case they want to write down the equation as I call them. The game can be played by small groups at a center. I included blanks that students have used to create questions and boards. Based on your allowed time, you can play five in a row, just the corners, or cover the whole board. 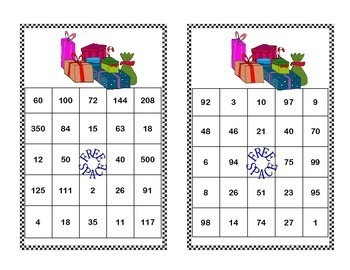 Looking for engaging quality math materials?